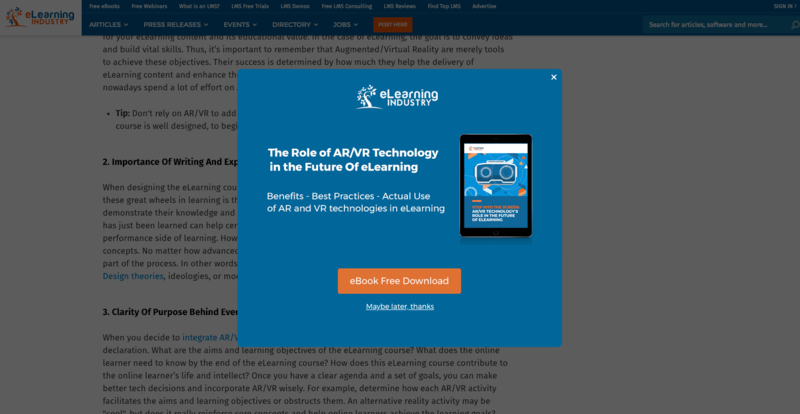 Deliver highly targeted pop-up ads that eLearning professionals see while browsing our Authoring Tool-related pages. Our advertising experts will help you optimize the ad-copy and images if needed. 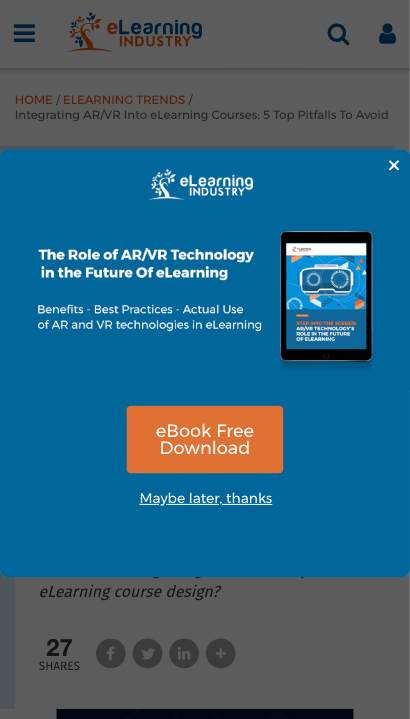 We will be running the pop-up banner campaign for 5 weekdays (Monday to Friday) across all website pages that are relevant to authoring tools, rapid eLearning development, eLearning templates, and more.